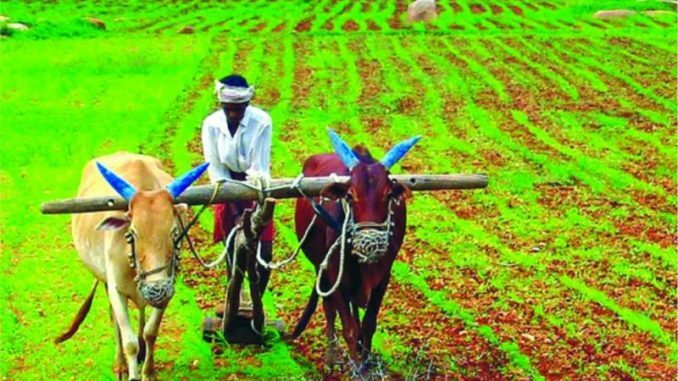 NEW DELHI: Seeking to make farming a remunerative economic activity , the government on Wednesday revved up its farm growth plan with `Raftaar’ (Remunerative approaches for the agriculture and allied sectors’ rejuvenation). It rebranded its ongoing central scheme, Rashtriya Krishi Vikas Yojana (RKVY), as RKVY-Raftaar and approved its continuation for three years (2017-20) with financial allocation of Rs 15,722 crore. The approval of its rebranding and continuation came from the Cabinet Committee on Economic Affairs (CCEA), chaired by PM Narendra Modi, on Wednesday. “This will strengthen farmer’s efforts through creation of agriculture infrastructure that help in supply of quality inputs and market facilities.This will further promote agri entrepreneurship and support business models that maximise returns to farmers”, said an official statement. The RKVY-Raftaar scheme will incentivise states in enhancing their allocations to agriculture and allied sectors.Funds will be provided in a 60:40 ratio to states except those in the northeast and Himalayan states which will get 90:10 grant. Under the scheme, 50% of the annual outlay will be for setting up farm infrastructure and assets, 30% for value-addition linked production projects and 20% will be flexi-funds for projects in tune with local needs. The emphasis will also be on involving youth in agriculture through various incentives so that it will provide jobs in rural areas and help in achieving the target of doubling farmers’ income by 2022. RKVY was launched during 2007-08 to achieve 4% annual growth in farm sector by ensuring a holistic development as per a resolution of the National Development Council.